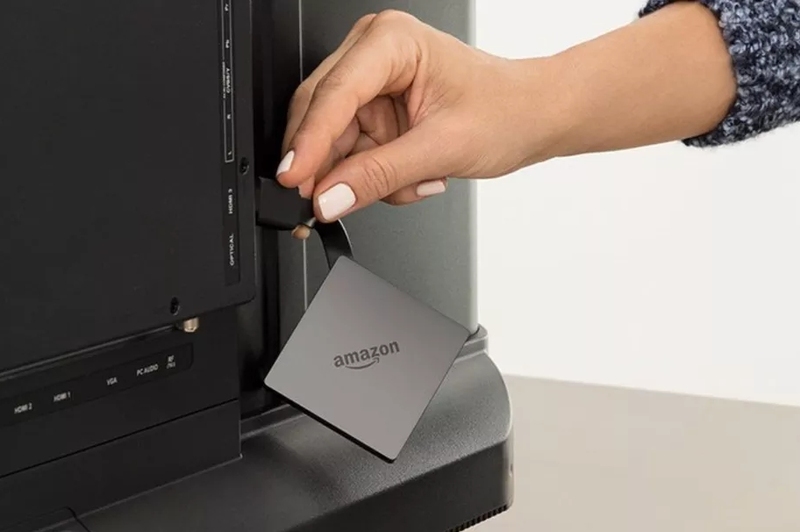 Amazon at a surprise hardware event in Seattle on Wednesday announced a new 4K-capable Fire TV media streamer at a very attractive price point. The new device is essentially a mix between a traditional set-top box and a stick-like dongle. Measuring 2.6” x 2.6” x 0.6” and tipping the scales at 3.1 ounces, it’s tethered to an HDMI cable that plugs into the back of your TV (the whole thing just kind of hands down from the HDMI port, it seems). Powering the streamer is a quad-core Amlogic processor ticking along at 1.5GHz and Mali-450 MP3 graphics as well as 2GB of RAM and 8GB of local storage. That’s enough processing power to enable 4K 60 frames per second playback and support HDR-10. The new Fire TV also features dual-band 802.11 a/b/g/n/ac Wi-Fi, Bluetooth 4.1 and Dolby Atmos technology and comes bundled with an Alexa-powered remote. Perhaps the most compelling aspect of Amazon’s new Fire TV is the price. At just $69.99, it’s far cheaper than Apple’s new 4K-enabled set-top box and Nvidia’s new controller-less Shield TV, both of which start at $179. Then again, the two latter options are far more powerful and feature more storage space. Amazon’s new Fire TV is available to pre-order as of writing and will launch on October 25.